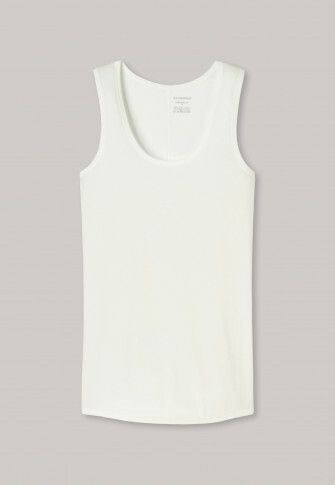 Allrounder for leisure time and sports: This ecru women's tank top from the SCHIESSER line "Personal Fit" combines a pure look with functional material. Super elastic single-jersey adapts to the body like a second skin and promises an optimal moisture regulation, breathing activity as well as shape stability. An amazingly light, comfortable basic, which meets even the highest demands of underwear with a silky lustre and in best SCHIESSER quality!